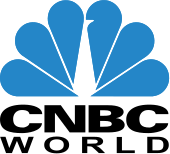 CNBC World is a TV broadcaster based in Englewood Cliffs, NJ. It’s a business channel that covers finance, the markets and general business news simulcast from CNBC Europe and CNBC Asia and taped shows from CNBC’s other international channels. You can watch the channel online via the CNBC World live stream and its collection of videos, updated regularly. CNBC World is owned by NBCUniversal. It is a member of the CNBC network.